in one application. 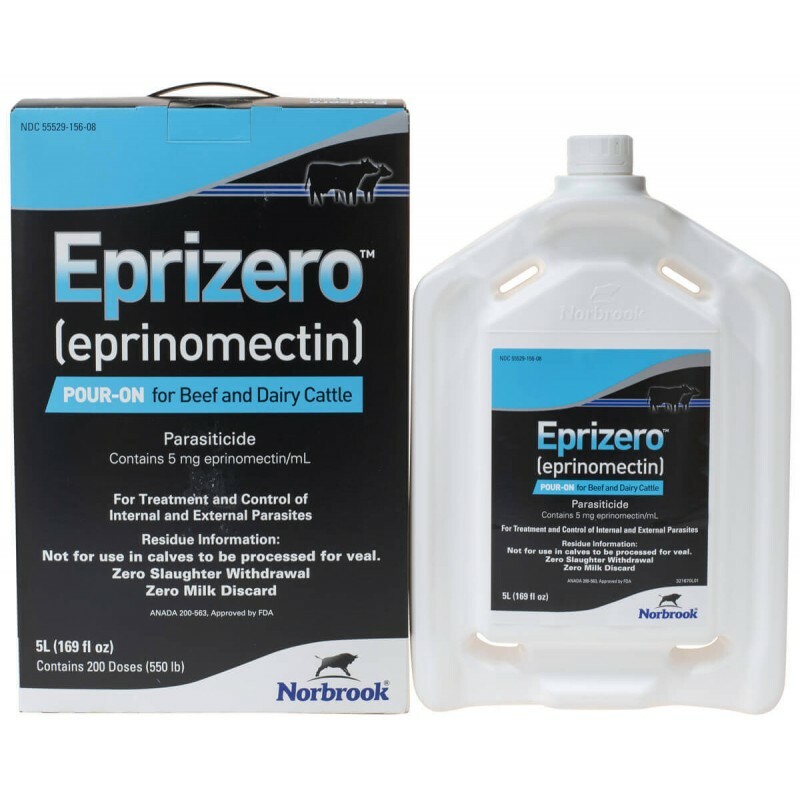 It contains eprinomectin, a unique avermectin, that has broad-spectrum efficacy in a weatherproof formulation, zero slaughter withdrawal and zero milk discard, making it a convenient product for parasite control in beef and dairy cattle, including lactating dairy cattle. 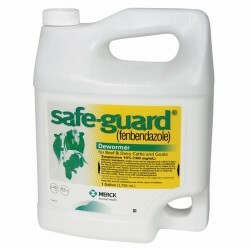 Available in a 1lt, 2.5lt, 5lt, and 20lt size. 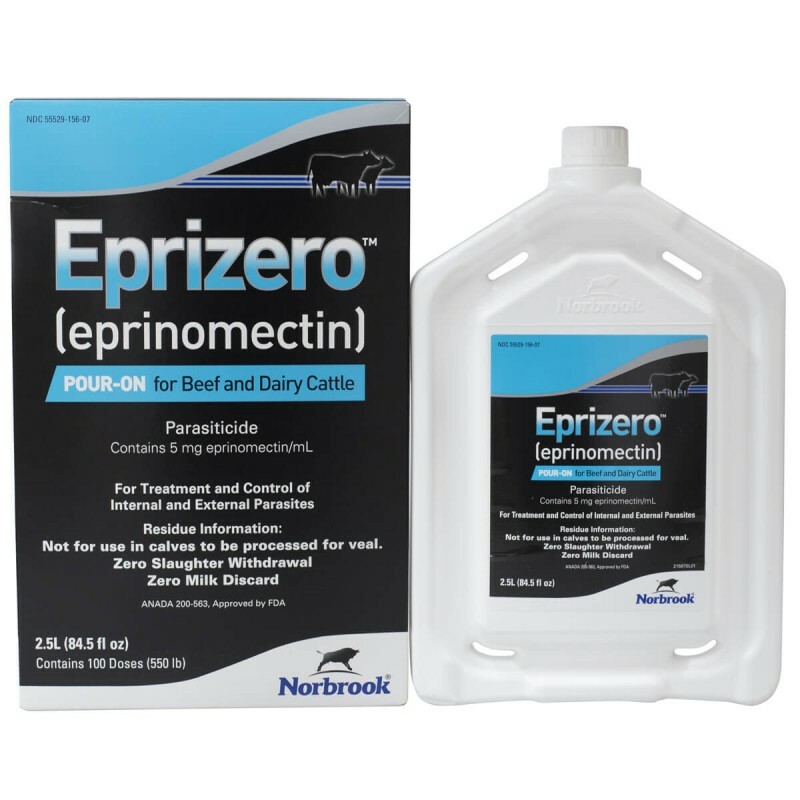 Eprizero (eprinomectin) Pour-On is indicated for the treatment and control of gastrointestinal roundworms (including inhibited Ostertagia ostertagi), lungworms, grubs, sucking and biting lice, chorioptic and sarcoptic mange mites, and horn flies in beef and dairy cattle of all ages, including lactating dairy cattle. 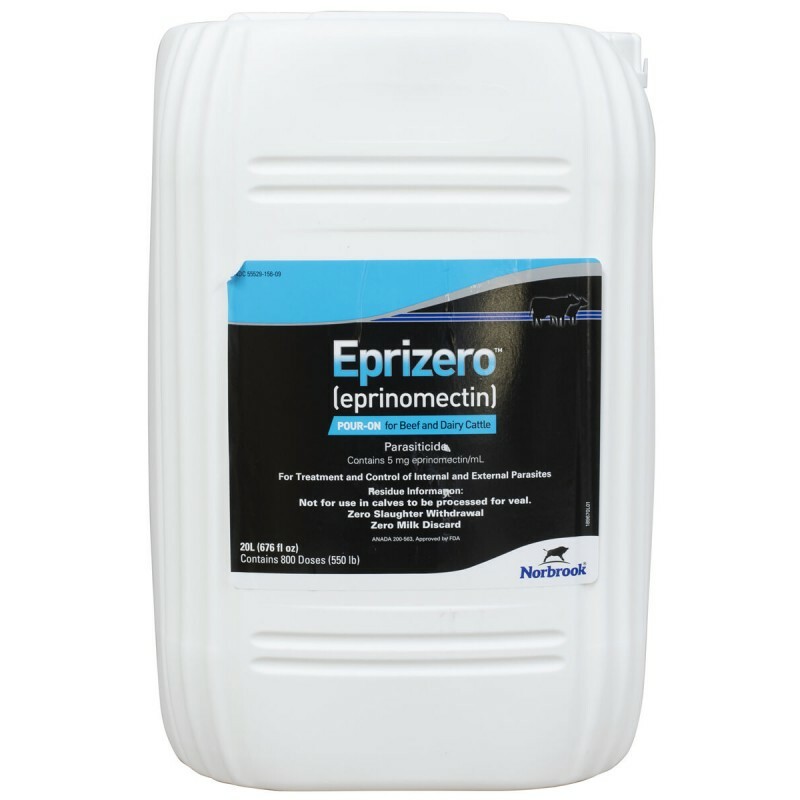 Applied at the recommended dose volume of 1 mL/10 kg (22 lb) body weight, to achieve a dose level of 500 mcg eprinomectin/kg body weight, Eprizero Pour-On is indicated for the effective treatment and control of the following parasites. 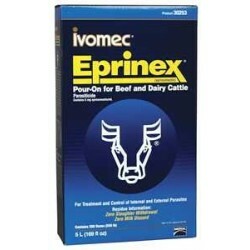 The product is formulated only for external application to beef and dairy cattle. 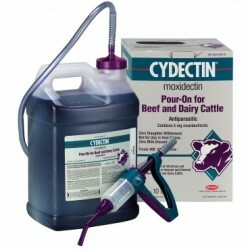 The dose rate is 1 mL/10 kg (22 lb) of body weight. 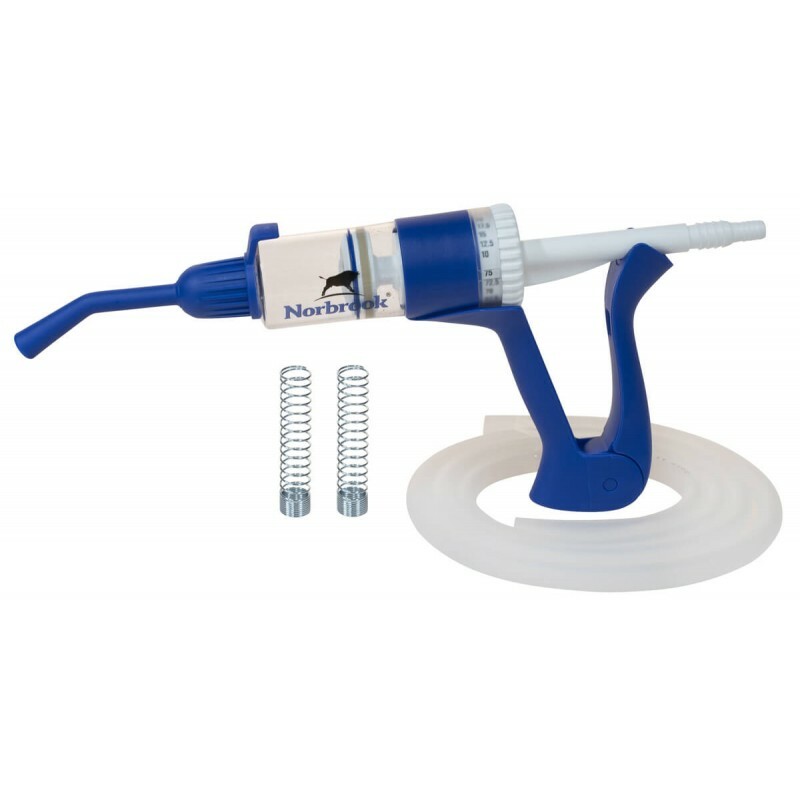 The product should be applied topically along the backline in a narrow strip extending from the withers to the tailhead. 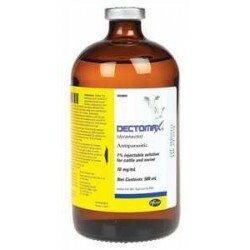 with products containing compounds of this class.